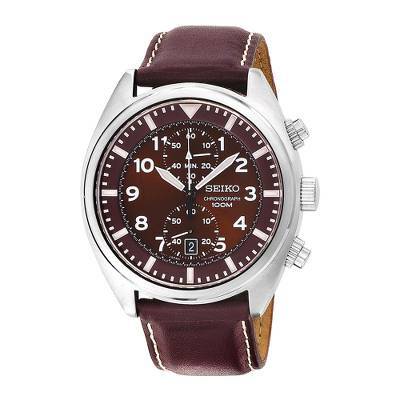 Men's Brown Seiko Chronograph Watch with Leather Band, "Time for Adventure"
Featuring chronograph functionality and a brown leather band, this handsome men's stainless steel watch is perfect with business or casual attire. Stainless steel, calf leather. Quartz movement.